The US Rubber Company Mill has a complex history of ownership and use that stretches over 80 years. From its inception as the Joseph Banigan Rubber Company (1896-1910), through its acquisition and expansion as a regional plant of the US Rubber Company (1910-1975), to its current use as the Waterfire Arts Center and other industrial, commercial, and residential uses, this complex is representative of the reinvention and reuse of industrial buildings throughout New England. The story of the complex begins with Joseph Banigan, Rhode Island’s first Irish-Catholic millionaire. Born in Ireland in 1839, he fled the ravages of the Irish potato famine as a child and came to Providence, where he joined nearly 16,000 of his fellow Irish immigrants. As a young man Banigan apprenticed at the Providence Rubber Company where he learned the industry. In 1889, at the age of 50, Banigan established his own company in Woonsocket. 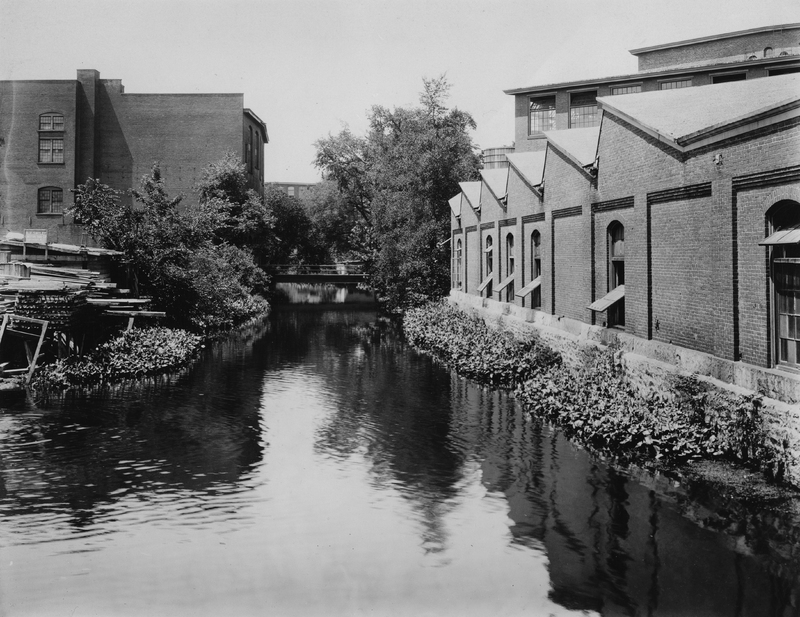 The Alice Factory, named for his mother, was the largest rubber factory in the world. After a few years, Banigan returned to Providence to find that the city’s industrial base had changed; machine tool manufacturing now surpassed textile production. With the rechanneling of the Woonasquatucket River, the introduction of rail service along the city’s expanding industrial corridor, and the availability of process water (water that is no longer clean enough to drink but can be used in a factory), a number of new manufacturing firms moved to the banks of the river. Banigan purchased a building owned by the Saxon Worsted Company and constructed a number of new buildings to house the production of rubber shoes and boots. While building his rubber empire, Banigan did not forget his Irish heritage and humble beginnings. 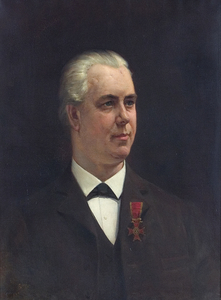 He donated generously to the city’s orphanages, the Lying In Hospital (now Women & Infants Hospital), the Society for the Prevention of Cruelty to Children, the Home for the Aged, and St. Maria’s Home for Working Girls. 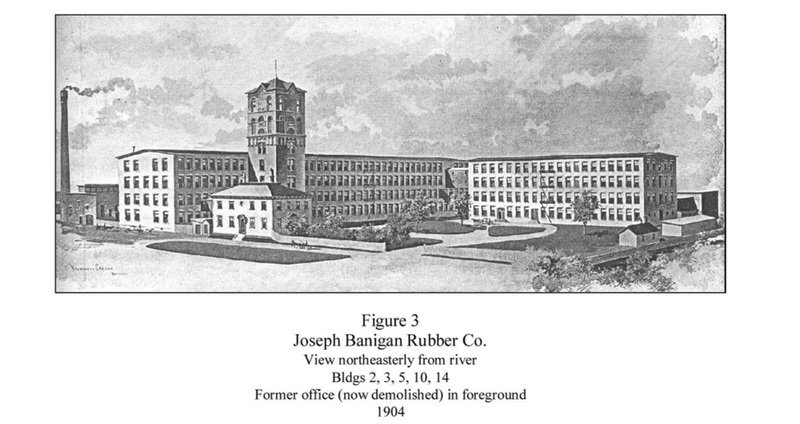 After Banigan’s death, his business was sold to US Rubber Company, which shifted its production from footwear to rubber tires and rubber thread. 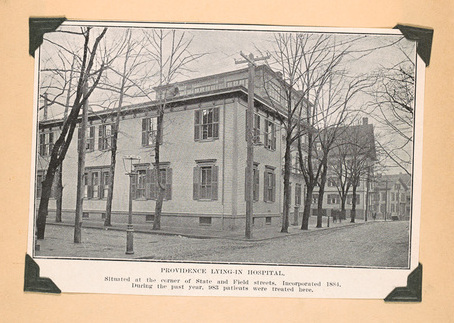 US Rubber doubled down on Providence in what the Providence Journal described as “one of the largest real estate transactions that has ever been recorded in this city.” The company expanded, purchasing the idle ALCO buildings in 1918 and began outfitting them for the manufacture of solid and pneumatic tires. In its adaptation of pre-existing buildings for new uses, the US Rubber Company was typical of expanding manufacturers of the period. 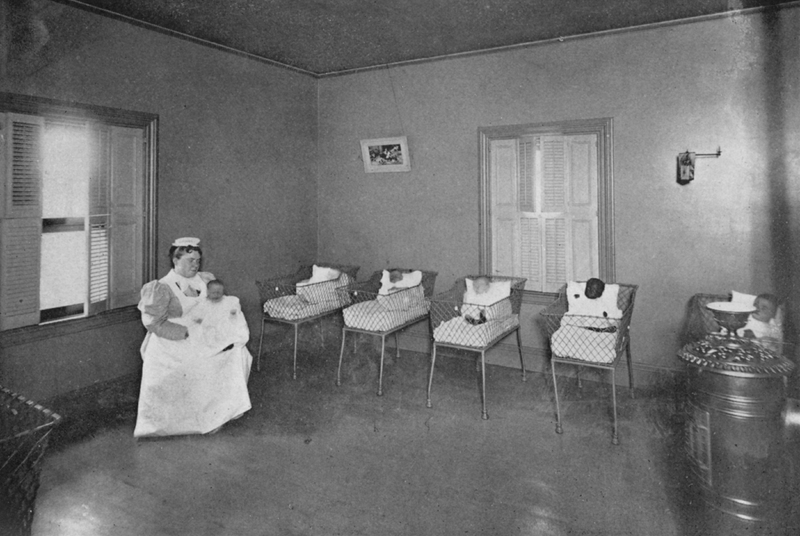 Homes for the Aged: Elder care in the 19th Century was a patchwork of religious charity, philanthropy and ethnic community organizations. 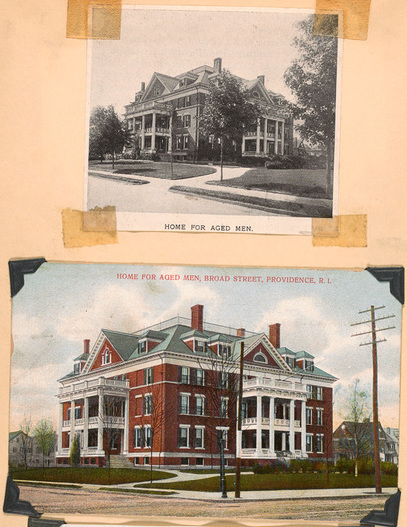 Banigan donated to homes for the aged, like this one on Broad Street (bottom image). ~ Source: Rhode Island Collection, Providence Public Library. Banigan had other business interests that also proved to be successful. By 1891 he had created a monopoly of companies that manufactured washing machine wringers. He was also the director of the Industrial Trust Company and the Commercial National Bank of Providence. 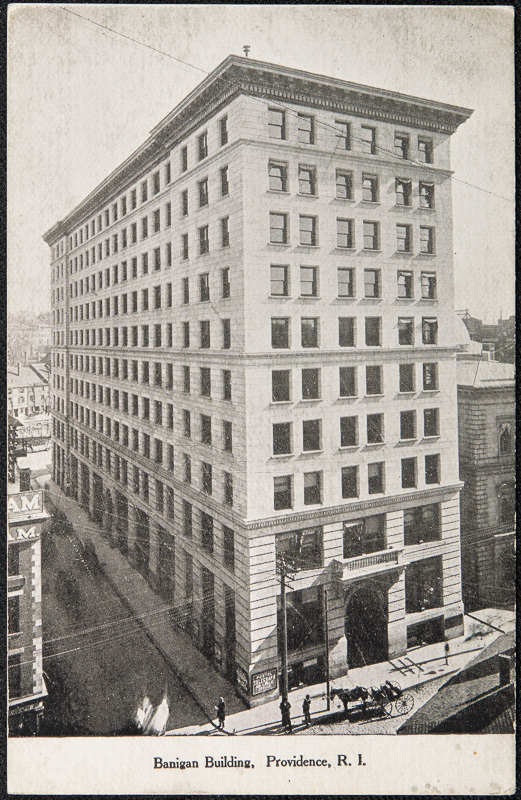 The Banigan Building, at 10 Weybosset Street in Providence, was built in 1896 and is considered the first skyscraper of the city. By 1855 Irish immigrants comprised one-tenth of Rhode Island’s population (150,000) and 25% of Providence’s residents. 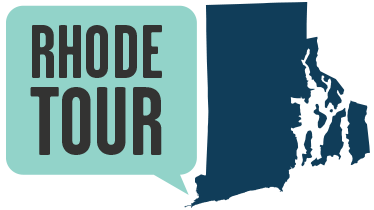 To learn more about the various waves of immigrants to Providence, especially those who settled near the Woonasquatucket, take a trip on the West Side of Providence Tour. 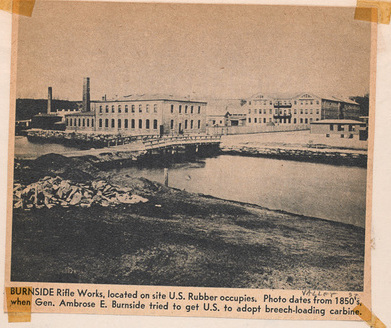 Jane Gerhard, “US Rubber Company,” Rhode Tour, accessed April 21, 2019, http://rhodetour.org/items/show/218.